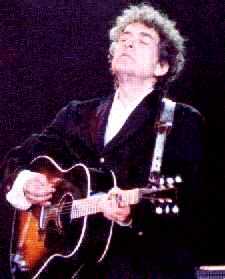 In all his five performances of "PASS ME NOT O GENTLE SAVIOR" Bob only sings the first two verses, with a slight lyric change in the second. His versions resemble the one recorded by the Stanley Brothers. When Bob Dylan chose to sing this hymn in concert on five nights in 1999 and 2000, he confessed openly that he still is "weeping for the saving grace that's over" him. Addressing his wonderful Savior directly he is aware that sweet relief and help in unbelief is only to be found kneeling at the throne of mercy. Listening to his humble cry in the words written by this blind lady poet from the nineteenth century is the most vulnerable Bob Dylan I have heard since "WHEN HE RETURNS" and "WHAT CAN I DO FOR YOU". It still "is only He who can reduce" him "to tears". His Lord is the one who has "given all there is to give". "He knows your needs even before you ask".